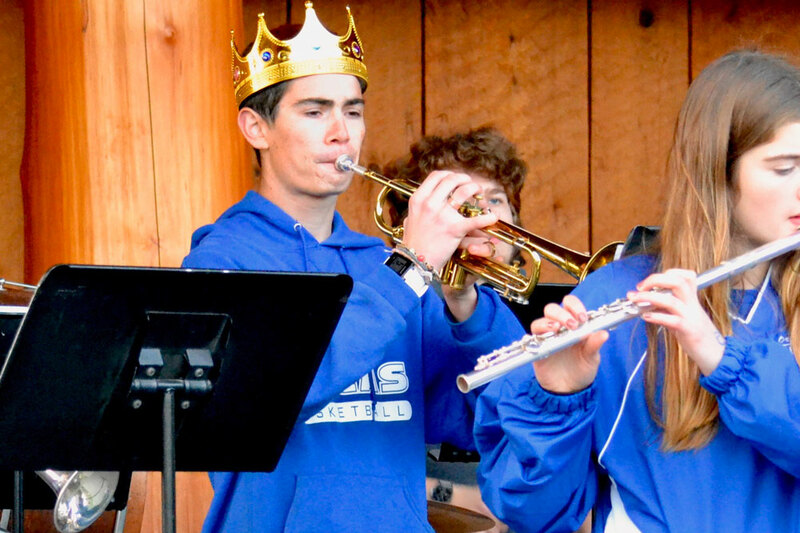 A trumpet virtuoso and a “brasstastic” long-time band member, sophomore Ewan Lister has always been an integral part to the Orcas Island High School band. Since his revolutionary debut in the Orcas Island Middle School band in 2013, Lister has never failed to keep time and rhythm, to lead and inspire others, to deliver valued commentary about musical dynamics, and to play with unshakable confidence. Among his many acclamations playing at OIMS and OIHS include playing the “Superman” theme correctly the first time, surviving mentally intact from the performance of “Santa Does the Cha-Cha,” garnering “Excellent” ratings from Regional Solo & Ensemble performances, performing with the Dallas Brass, and entertaining the masses during last year’s homecoming festivities with “Carry On My Wayward Son” and other raucous tunes. Lister’s harmonious exploits do not end here. In addition to playing at school, Lister also works with the local Orcas Island Community Band, a non profit all-volunteer organization that strives to spread music throughout the island. Lister also studies with Steve Alboucq and Charlie Porter, both renowned professional musicians. Lister’s tone quality can be described as direct, powerful, and engaging. “Playing with Ewan, it’s a fun time,” comments second trumpeter Luke Pietsch. In addition to being a supporting member in local and school bands, Lister has also spent many years cultivating his impressive range and endurance. Lister suggests that people continue what they do. “Continue your art. You can imitate other people, but in the end, you can make a much bigger difference if you keep doing what you do. Practice is very important.” When asked about how much he practices every day, Lister said “If you were to average it out to a year, I practice one minute a day,” a testament to his natural abilities.